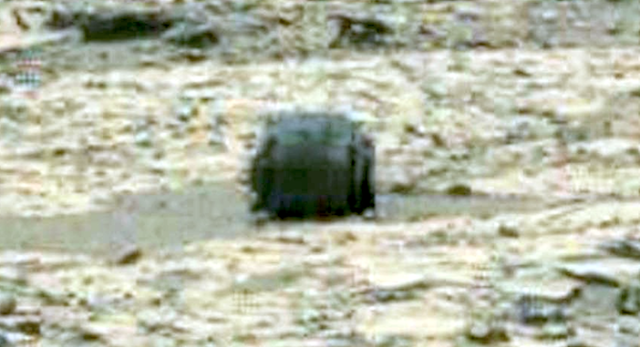 UFO SIGHTINGS DAILY: New Alien Technology Found On Mars Near Rover, Proof Of Life, June 21, 2016, Video, UFO Sighting News. 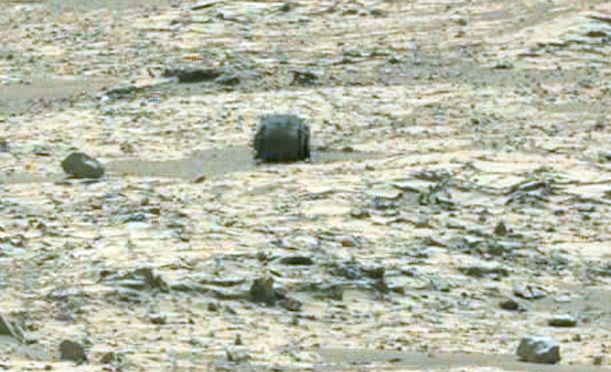 New Alien Technology Found On Mars Near Rover, Proof Of Life, June 21, 2016, Video, UFO Sighting News. This looks like an escape pod or rocket engine at first glance. This is stealth black and doesn't fit into this color environment at all. 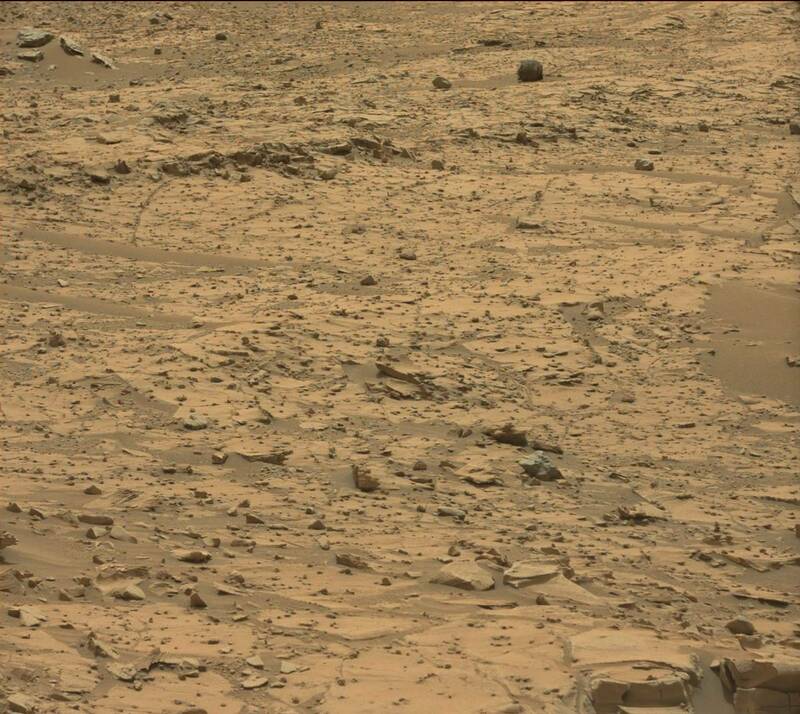 Although this looks like space technology, as you zoom in closer you can see it has seems. Rough and primitively large seems that tell us this was not built for space, but is a home on the ground. Its a ground construction in a round shape. We have found a home...a relatively new one, of one of the species that still survives on Mars today. I added the original photo which NASA gave a false color to and I hit autofocus...these photos are the result...the original color of this area of Mars. This pod looks about 1 meters high and 1.5 meters long. Yes, the species that lives inside is very small. But did you notice that its clean? 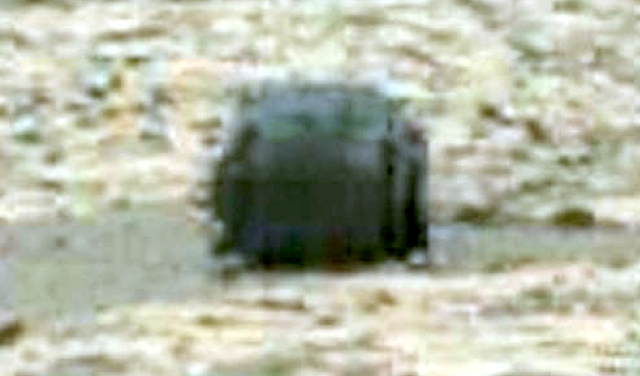 The black is clearly visible and not covered in any dust or dirt from the wind. Someone has been cleaning it off. This was found by UFO Mania of Youtube, please stop by and give him a thumbs up for this awesome discovery.